For my next trick, I’ll be taking you on a bit of a different kind of adventure. Things have been going pretty well for my costume boutique, Reincarnation Outfitters, and it’s time to consider some permanent (sort of) display space. Up until now we’ve worked mostly out of a 10 x 10 easy up, which happened to blow away and turn itself into a taco/squished spider at our last event (Pennsic War, if you were wondering). Do not neglect to stake and weight your easy-ups as soon as you put them up. They are easy-downs too. And easy-cartwheel-across-the-fields. We still used it, don’t worry! But it forced us to consider the image we were sending by working with such a standard piece of equipment. Most of the well traveled professionals use beautiful, sturdy, canvas and wood beam tents. 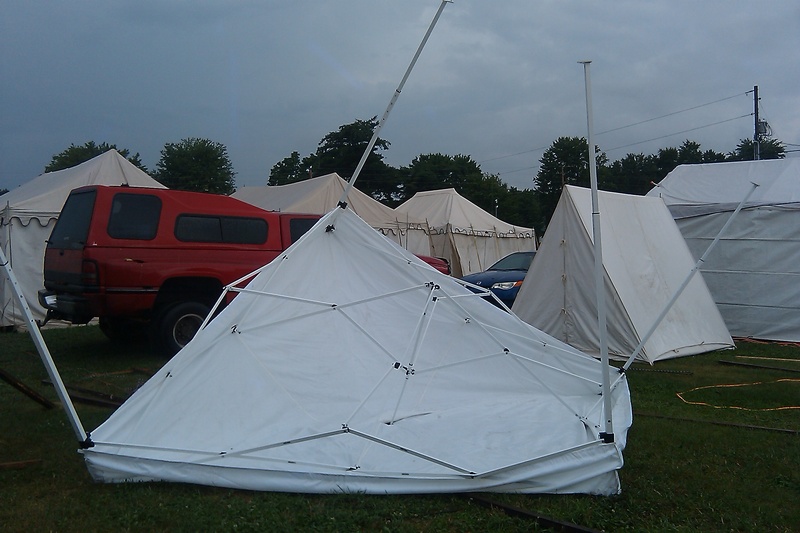 Tents that run upwards of $3,000 and require the strength of several strong men to set up and take down. You may have noticed, I am not a strong man. Nor are there several of me. So while I knew these beautiful Panther Tents were an option, I just didn’t think they were the option for me. 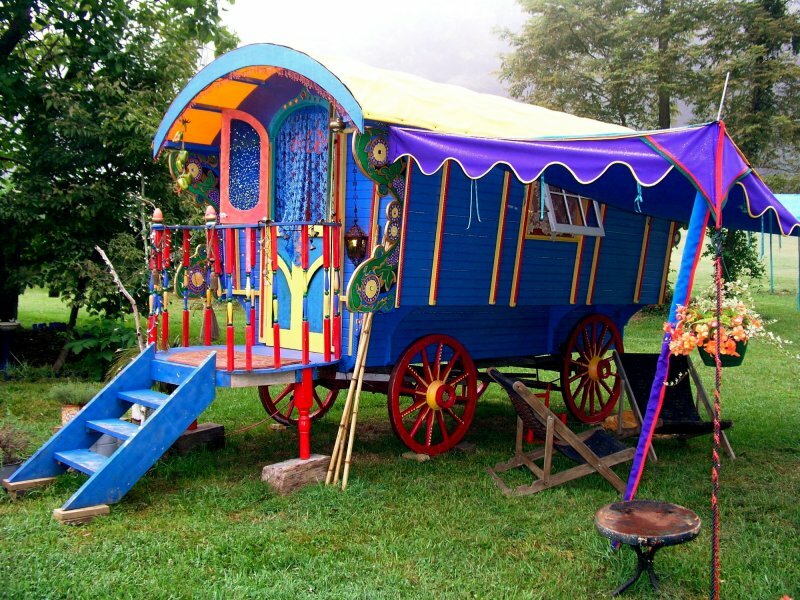 What I did think was- Gypsy Wagon!!!! Here’s an example of how cute they can be! Officially termed “vardo” by the Romani who adopted them, these colorful, sturdy, wagons were used by the traveler cultures in the 1900’s. But even before that, French circus folk used them in the early 1800’s. It is where they lived, set up stages, and sold their wares. Now that is something I think I can get into! The more I thought about it, the better it sounded. I talked to my Stepfather (Jeff), an extremely skilled carpenter; and he had even more ideas than I did. But between the two of us we agreed: a vardo is just what I need. We will build one with a living space and storage spaces inside, and a false wall along one side that can open up into a sizeable display space with clothing racks and shelves. I could set it up by myself, it wouldn’t blow away in a storm, and a retractable awning could provide additional coverage on rainy days. With the winter almost upon us, I have landed at home with almost four months before I hit the road again. A lifetime by traveler standards. So this winter, follow along as we build a colorful home for a fickle fairy artist like myself.